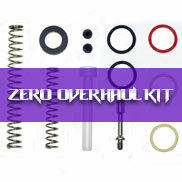 Compatible - Centurion, KAOS, KAOS-D, KD-II, ATS, ATS+, BLITZ, BLITZ-III, BLITZ-EVO, ZII, KP-II &..
Azodin Overhaul Kit including:- 1 X P013 – CUP SEAL 1 X P014 – CUP SEAL GUIDE 1 X P024 – FEATHE.. Compatible - BLITZ, BLITZ-III, BLITZ-EVO & ZII ..
1. 108.5mm: standard bolt for all Azodin mechanical markers. 2. 110.5mm: standard bolt for all.. Compatible - Centurion, KAOS, KAOS-D, KD-II, ATS, ATS+, BLITZ, BLITZ-III, BLITZ-EVO, ZII & ..
Cup Seal set consist of:- - PH12: Cup Seal stem (BLITZ, BLITZ-III, BLITZ-EVO) - PH13: Cup Seal .. Compatible - KAOS, Koas-D, KD-II, BLITZ, BLITZ-III, BLITZ-EVO, ZII, KP-II & KP-III - com.. Eye Cover Screw : - M4x6mm: Eye Cover Screw for (Z-II) - M4x8mm: Eye Cover Screw ..
- comes in a set of left + right eyes covers - fit into Azodin Blitz, Blitz-III, Blitz EVO&nbs.. 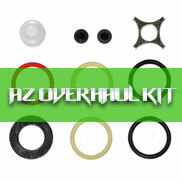 Compatible - BLITZ, BLITZ-III, BLITZ-EVO & ZII Eyes set for Azodin electronic paintball .. Compatible - Centurion, KAOS, KAOS-D, KD-II, ATS, ATS+, BLITZ, BLITZ-III, BLITZ-EVO & ZII .. 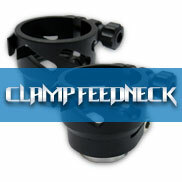 Compatible - Centurion, Kaos, ATS, ATS+, Blitz, Blitz-EVO & Blitz-III ..